In His Own Words July 9, 2013 The catering industry lost a friend and a mentor on June 24, 2013. In addition to being the founder of Catersource, Mike Roman was an advocate for all caterers and devoted his life to raising the profile of our business. The following is an excerpt from Mike's 2010 book, Secrets of Catering Management , which tells his life story in his own words. Read our obituary for Mike Roman here. The catering industry lost a friend and a mentor on June 24, 2013. 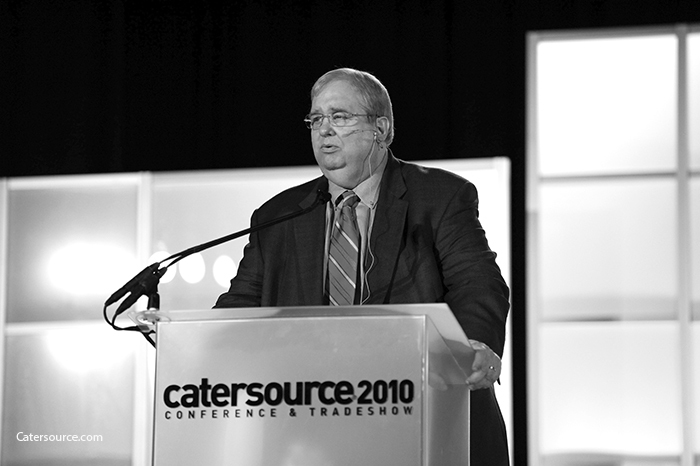 In addition to being the founder of Catersource, Mike Roman was an advocate for all caterers and devoted his life to raising the profile of our business. The following is an excerpt from Mike's 2010 book, Secrets of Catering Management, which tells his life story in his own words. Read our obituary for Mike Roman here. Mike's life was rich and full of twists and turns -- some of the below facts may surprise you! When I was born, my family lived in an apartment on North Sedgwick Street, two blocks from the heart of the Chicago neighborhood of Old Town. Until the age of 20, I lived and worked within five blocks of that apartment. When I was five years old, my mother, Josephine, started baking and selling brownies and fruitcakes that became famous in Chicago and were shipped across the nation as gifts. One of my early memories is of her cracking dozens and dozens of eggs. My mother was so busy and successful (she had added bread to the baked goods she sold) that she moved her business to a storefront a half-block from our apartment. Mrs. Murphy, a neighbor who was handicapped, asked my mother to sell her a dinner each day -- and so my mother entered the catering business. Soon she was catering small events and the business was officially named The Mixing Bowl. My father, Ben, purchased a two-flat commercial building another half-block from my mother’s retail store. The new location permitted Mother to build a large industrial catering kitchen in half of the lower floor. The other half became my parent’s new home. I lived in a 9x12-foot room that was next to the walk-in cooler. My parents often had me do simple functions in the kitchen, like chopping and helping at the stoves. I hated chopping onions. I went off to college at the University of Illinois in Champaign-Urbana, vowing that I didn’t want to be a caterer. After one semester, I transferred to the University of Illinois-Chicago campus, but wasn’t ready to commit to being a student. I flunked phys ed -- and left the university. I was admitted to Wright Junior College, where I fell in love with education and graduated with better-than-average grades. Then it was on to the Chicago Teacher’s College (later renamed Northeastern Illinois University), where I received a degree in education. I began teaching sixth grade at the Richard Byrd Elementary School in Chicago’s Cabrini Green housing projects. After just one year of teaching, I was asked by the principal to help test a program to broadcast classes live to 11,000 students from a television studio in the school basement. I had just received my master’s degree in education from Roosevelt University by taking evening and summer classes and was about to be offered a new Teaching Without Walls program, but the principal at my school told me she needed me to stay at Byrd and wouldn’t let me take the new position. I left the Chicago Public Schools one week later. 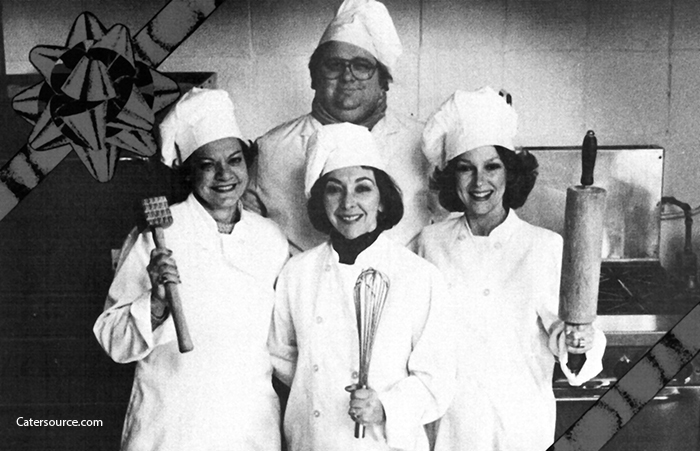 My parents' catering business was one of the top three in Chicago, but I still didn’t want to be a caterer. I sold investment real estate in Florida and Colorado, became one of the company’s top-selling people and was asked to teach sales skills to the other salespeople. I did a brief stint as a school librarian and another selling industrial chemicals. My parents announced that they had decided to retire to Florida. Did I want to take over the Mixing Bowl? I said yes. I loved my new life as a caterer. I felt like General George Patton as I assumed the role of boss. Mother had built the business to about $600,000 per year, which was very good at that time. I kept certain traditions, launched some new product lines and doubled the annual volume in two years. The National Restaurant Association’s director of education asked me to teach restaurant owners how to do catering. Over two years, I talked to restaurant owners in about thirty cities. It was great to get up in front of a group of professionals who wanted to learn and share. Often, after a wild weekend of catered events, I would board a plane on Sunday evening to teach NRA classes on Monday, Tuesday and Wednesday. After class on Wednesday, I would travel back to Chicago, where I ran The Mixing Bowl until Sunday night—and then started the crazy schedule all over again. Things were going very well, including my special relationship with Bernice Phillips, one of The Mixing Bowl’s best salespeople and event planners. I helped the NRA organize the first National Catering Conference of four hundred caterers in Washington, D.C. 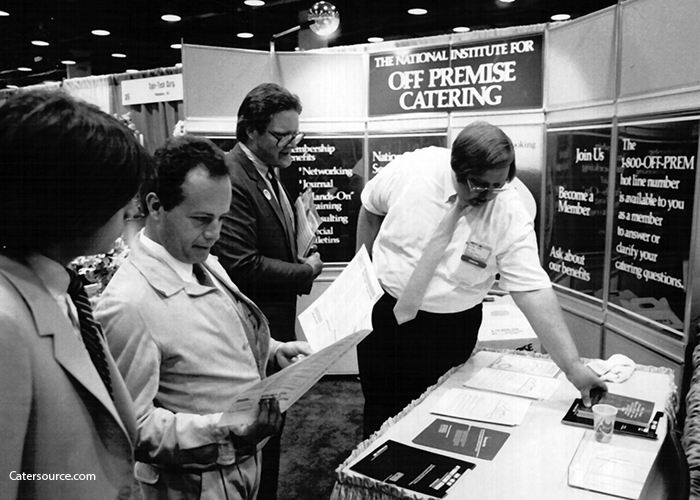 Shortly after that conference, Bernice and I created a new catering membership organization, The National Institute For Off-Premise Catering, which became known as Off Prem and grew to more than a thousand paid members in the United States and Canada. Off Prem held its first national conference in Vail, Colorado with three hundred fifty attendees. During this conference, I was able to offer hands-on participation, television-enhanced chef demonstrations and networking opportunities. During each of the next six years, I held more than 90 one-day Off Prem seminars and racked up seventy thousand air miles. The seminars, consulting and conferences during these years were fun and profitable and allowed me to become friends with hundreds of the nation’s finest caterers. My parents suggested that we sell The Mixing Bowl so I could devote myself to my seminar and consulting career, which everyone knew I enjoyed even more than operating the family business. The business was sold in less than eight days to one of our friendly competitors. The Culinary Institute Of America asked me to begin teaching a one-week catering class six times a year for its continuing education department. During my fourteen years working with the CIA, I was able to network and become friends with the world’s finest chef instructors, which has proved invaluable over the years. 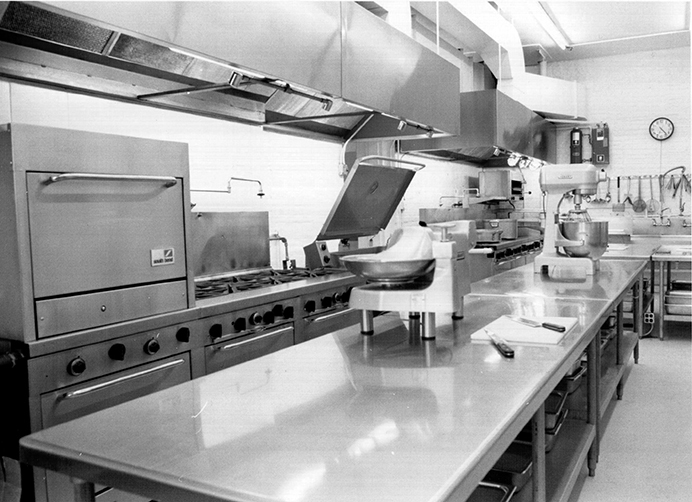 We transformed Off Prem into Catersource so we could work with all types of catering businesses, including banquet centers, hotels, hospitals, universities and contract caterers. We also started the Catersource Journal, which later became Catersource magazine. I contracted a case of Bell’s Palsy, which made it difficult for me to speak clearly. I did fewer seminars and increased my private consulting for a couple of years while the palsy subsided. Then it was back on the road with seminars and conferences, which have always been my favorite work. 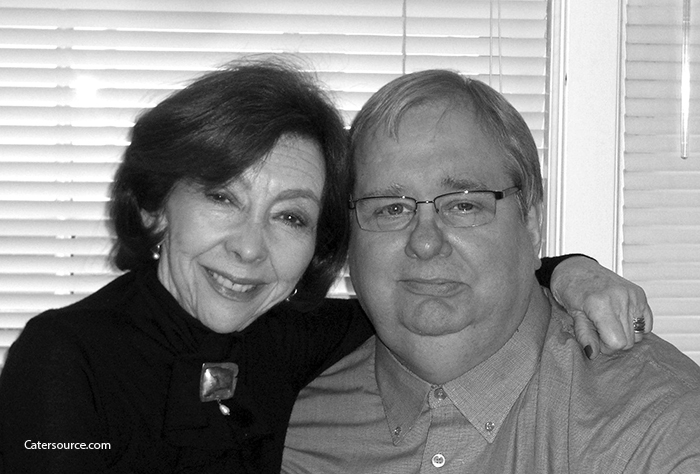 I married Bernice Phillips, after a 25-year courtship. I published my first textbook, Catering: The Art, Science & Mystery. The September 11, 2001 crisis took the breath out of many catering companies. Some experienced mild problems; others were close to shutting their doors. Catersource developed a seminar tour, “Catering During Uncertain Times,” which traveled across the country to help past customers (and any others who wanted to come) regain their footing and then get back to their pre-9/11 business levels. Bernice and I happily formed a partnership with past consulting clients and new friends, Kelvin and Annette Lee. With their help, along with an amazing group of supportive and loyal customers, Catersource has grown dramatically, becoming the umbrella company for several important associations that, together with Catersource, have helped move our catering industry into the professional hospitality segment it has become. I have continued to do what I’ve done for the last thirty years. As a catering coach, consultant and teacher, I’ve added millions of dollars of revenue to both large and small businesses. I don’t teach philosophy; I teach in-the-trenches solutions to the problems most caterers face. As I move into what I will eventually call semi-retirement, I am excited, by the wonderful team of professionals that now manages and operates Catersource Magazine, Conference & Tradeshow, which is bigger and better every year. Catering has always been in my DNA and blood. If I could go back and start over, I wouldn’t change a thing.